← Another Code Approved Earthbag Project! 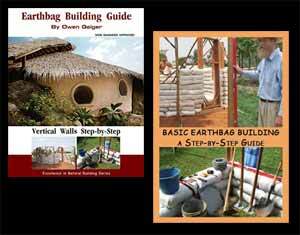 Earthbag building (also called sandbag building) is surely one of the lowest cost, most practical building methods. First used by the military for building durable, bullet and blast resistant structures, this building method has recently experienced a surge of interest among do-it-yourself builders. There are now an estimated 1,000 to 1,500 earthbag structures, including homes, offices, shops, schools, temples, clinics, orphanages and even ecovillages. One of the strongest selling points is affordability. A simple earthbag dome, for example, using recycled grain bags and earth can be built for around $100. A larger, more comfortable home can be built for around $500-$1000. The EarthDome House at Terrasante Village in Tucson, Arizona is just one example. To read the entire article, go to EzineArticles.